The return of veterans to campus beginning in 1945 exacerbated an ongoing campus housing crisis. 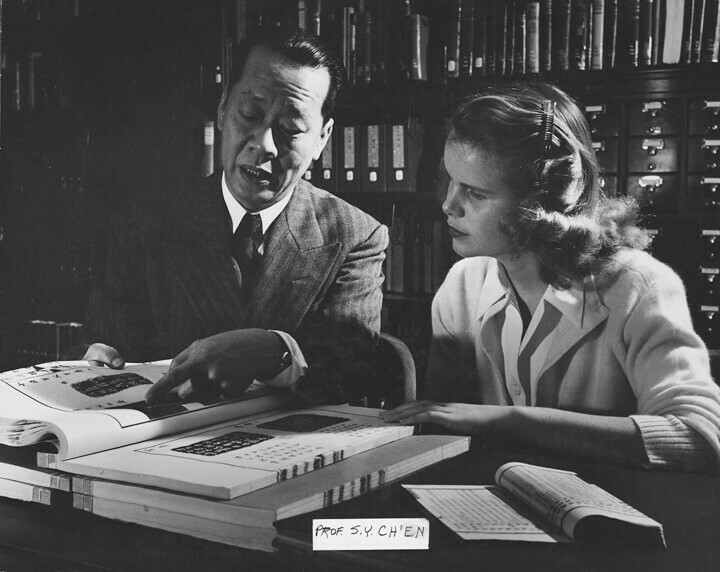 Between 1945–46 and 1947–48, enrollment increased from 659 to 1,110. 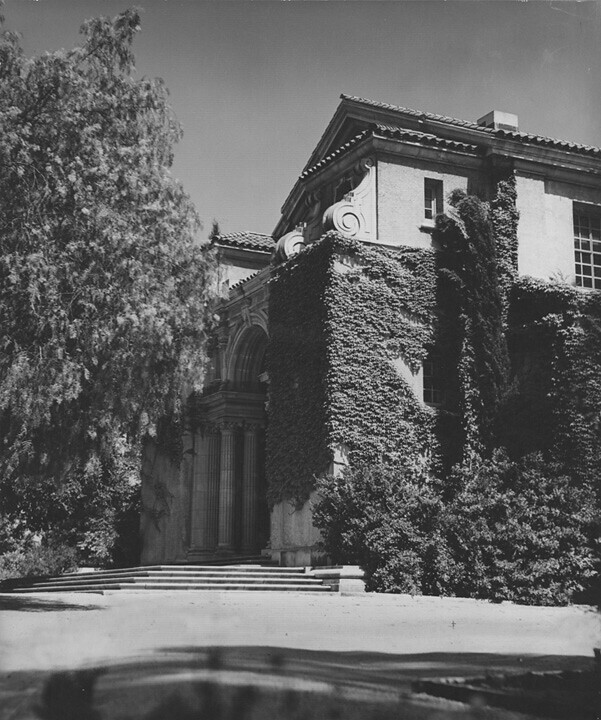 Veterans accounted for 488 of these students, but the number of women students had also grown to the extent that they were being housed in one unit of Clark Hall and in the northern section of Smiley, formerly “a masculine citadel.” Paul Fussell, Pomona’s newest trustee and father of two Pomona sons who served in World War II, pressed for immediate action. In response, Lyon pushed the completion of Blaisdell Hall’s second residential unit to the forefront of his agenda. Trustee Seeley G. Mudd agreed that his family would pay for the building, which was designed by the same architects who designed Blaisdell Hall. 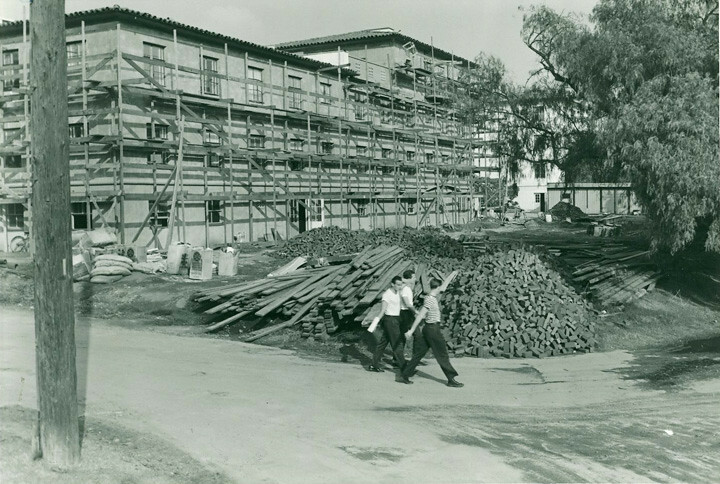 Construction began in 1945, a year before the government restricted the use of building materials exclusively for housing; two-thirds of the rooms were ready by September 1946, the remainder by Thanksgiving. 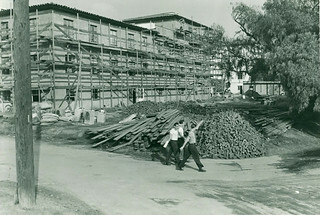 The parlors and a connecting corridor to Blaisdell Hall were completed in early 1947, and the building was dedicated in April, named for Della Mulock Mudd. 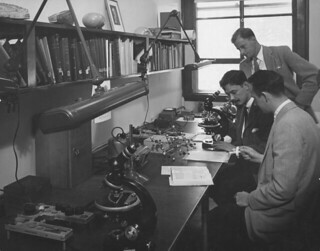 Three members of the Mudd family had served the College as trustees: Mrs. Mudd’s husband Colonel Seeley W. Mudd (1914–26), and their two sons Harvey S. Mudd (1926–30) and Dr. Seeley G. Mudd (1930–52). The increase in enrollment to 1,100 students prompted a nationwide search for additional faculty. Thirty-seven full-time faculty and 11 part-time appointees were added to the faculty from February 1946 to September 1947. 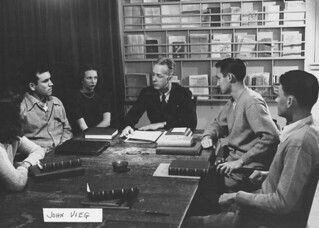 The 1946 Metate was dedicated to “the men who brought diversity and experience to a waiting campus.” Many of the returning veterans joined a short-lived organization called the “Sage Vets,” in which they organized events and helped each other readjust to civilian life at a residential college. The Men’s Glee Club, which had been reduced to a double quartet during the war, returned to full strength and made its first tour since 1941. And, for the first time, the men’s and women’s glee clubs gave a joint program. 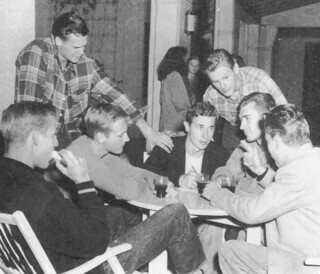 Although there was some hesitancy about reviving the six social fraternities suspended in 1943, the faculty voted to reactivate them, and the fraternity rooms, which had been used as classrooms by the military units, were redecorated and refurnished. All sports programs were reinstated, and the Southern Intercollegiate Athletic Conference was reactivated. In 1946, Pomona joined with the newly founded Claremont Men’s College to form the Pomona-Claremont Sagehens. This union was a successful one that yielded three consecutive conference titles in football from 1954 to 1958, including the College’s only undefeated season in 1954. In 1958, the two colleges separated and began to compete independently. 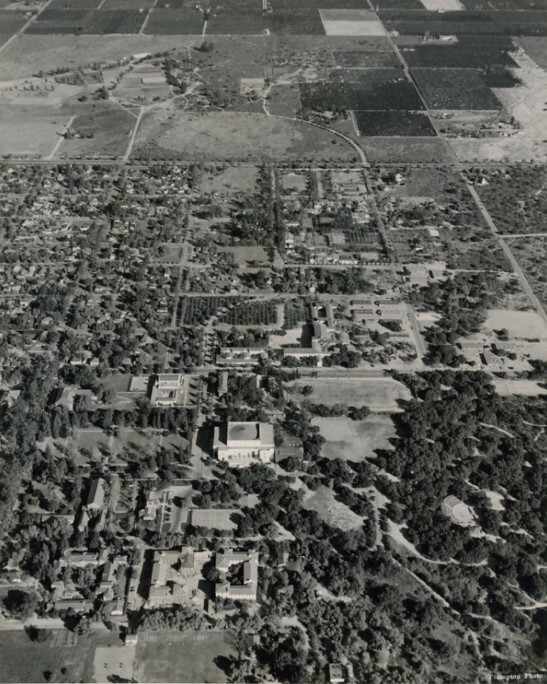 Starting in 1946, enrollment at Pomona grew rapidly, augmented by the onslaught of veterans under the G.I. Bill of Rights. The increase in enrollment brought with it the need for more housing, which was answered by the Mudd family’s decision to finance the construction of Della Mulock Mudd Hall and the Veterans’ Units east of Clark Hall. 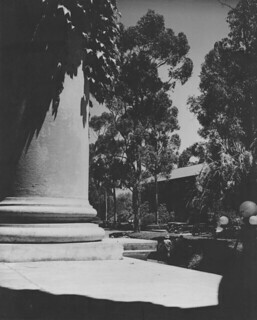 In 1946, the consortium founded Claremont Men’s College to “train young men of great ability interested in careers of public service, whether in the employ of the state or of great private enterprises, or independent professional practice.” In its earliest days, the fledgling college held its classrooms in the second-floor foyers of Bridges Auditorium and made use of the building’s basement, ante-rooms and dressing rooms as dormitories. 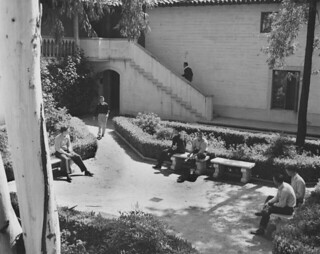 In 1981, the College changed its name to Claremont McKenna College and became co-educational. Librarian Willis Kerr presented a plan to have one central library, advocating the advantages of "centralized completeness and service." Later that spring, Mr. and Mrs. William Lincoln Honnold announced their intent to donate a central library building to The Claremont Colleges. 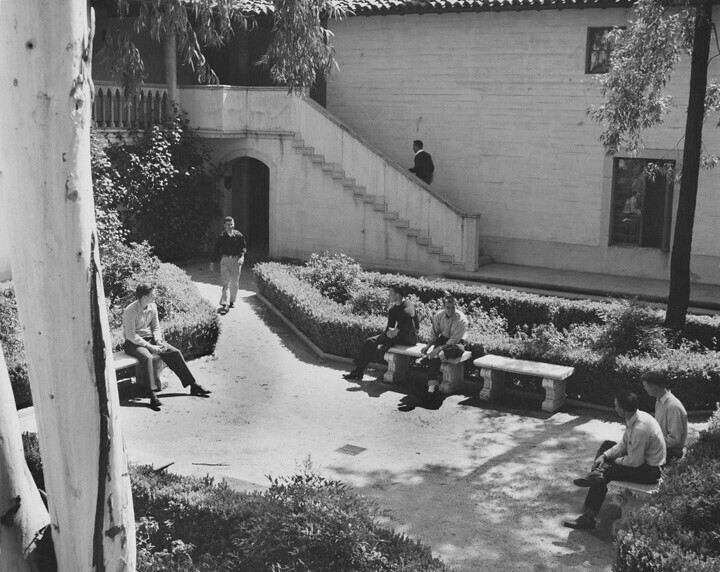 From these two events Honnold Library was born. 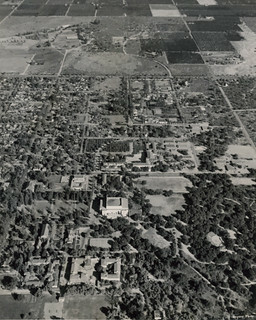 Embracing Willis Kerr’s plan, The Colleges came to an agreement, land was acquired contiguous to the existing four colleges, plans were drawn up, orange groves were uprooted, and construction was begun. America’s favorite funny man, Bob Hope, played to a packed Holmes Hall during a national radio broadcast from Pomona’s campus in 1946. The first meeting of the United Nations was held in London. Ten Nazi politicians and officers were executed by hanging following their conviction of war crimes in the Nuremberg Trials. On Dec. 31, President Harry Truman signed Proclamation 2714, officially ending hostilities in World War II.